Nothing like this ever happened even at the best of times. The heads of three Russian intelligence agencies all visited the US simultaneously. This is an extraordinary and unprecedented event, especially at a time when that relationship has so greatly deteriorated. 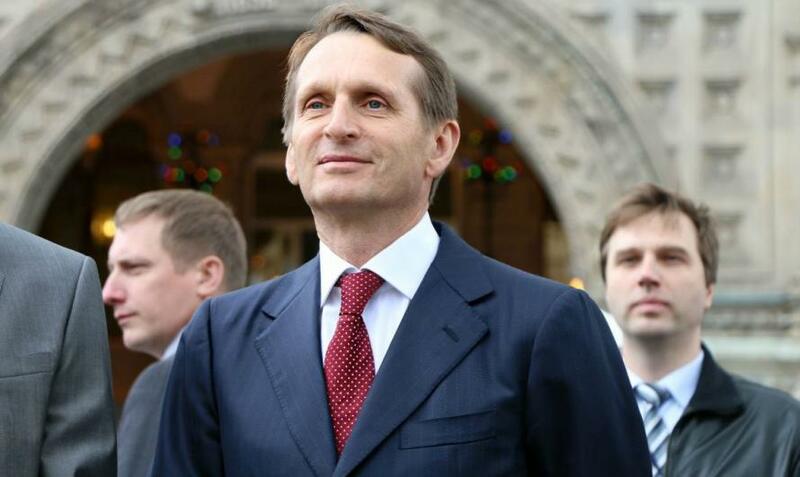 Sergei Naryshkin, the foreign intelligence chief, Alexander Bortnikov, who heads the Federal Security Service, and Lieutenant General (two stars) Igor Korobov, the head of Russia’s military intelligence, visited Washington in late January. Not much has been leaked to the media but it was reported that they met with CIA Director Mike Pompeo. There was no secrecy about the visit or attempts to hush it up. The Russian ambassador to the US, Anatoly Antonov, mentioned the event on television. He claimed that the visit had been a success and that despite the extreme tension between the two countries, their intelligence agencies were continuing to cooperate. As he put it, "Politics is politics, work is work. There are political proclamations, and there is real work." At least one of the Russian visitors is affected by the sanctions constraints. Obviously, President Donald Trump permitted the visit, as he is the only one who is authorized to temporarily waive those restrictions. No doubt there was a discussion of the terrorist threat posed by the Federal Security Service, but that team was headed by Mr. Naryshkin. The negotiations over the joint efforts to counter international terrorism could have been held anywhere. Such contacts between intelligence agencies do not require the top officials to head the delegations. Thus one must conclude that the talks addressed a much broader agenda - there must have been something really significant to discuss, with an agenda not limited to just one or two issues. There was a particular context for this event. It’s important to note that Kurt Volker, the US Special Representative for Ukraine, and Vladislav Surkov, the Russian president’s top aide, also met in late January in Dubai. The American official is known for his stints at the CIA. Many observers found it rather surprising that President Trump did not say anything critical about Russia in his remarks at the Davos World Economic Forum on Jan. 26. During his stay in Switzerland, the US president was too busy to meet Ukrainian President Poroshenko but managed to find time for talks with his “friend” Rwandan President Paul Kagame! The long- awaited “Kremlin List” was nothing but a meaningless administrative step. There have been reports that Washington has been seeking ways to improve ties. The two countries’ top military leaders met last September to discuss Syria. More such events are planned for the future. The two foreign-office chiefs regularly hold private meetings. And Feb. 5 was an important date - both parties reported they had met their obligations under the New START Treaty. This is the moment when the tide is starting to turn, as President Trump is seeing some success from his efforts to undermine public confidence in the Russiagate investigation. The president is going on the offensive. Donald Trump has given permission to release a memo, which alleges that there was an abuse of power by the FBI and the Justice Department in the investigation into Russia’s alleged meddling in the US presidential election. The document shines a light on the role of the “deep state” in America and its influence on the media. It provides a clue about who raised the hullabaloo over “Russiagate” and why, and shows that they are ready to go to any length to spoil the US relationship with Moscow and jam a spoke into Donald Trump’s wheel. With the economy surging, the US president felt strong enough to approve the visit. This shows, better than any other example, that Russia is too important not to talk to. The two powers need to be engaged in dialog and the issues are too vital to ignore or sweep under the rug. President Trump has never shied away from claiming that he wants to repair that relationship. In his own words, “Putin is very important.” It’s an open secret that personal chemistry between leaders can play a very significant role in kick-starting the reconciliation process. With the memo released and “Russiagate” going nowhere, the president may have more supporters in Congress after the 2018 midterm elections. The US policy on Russia may be one of the things to change. The odds are slim of Russia and the United States becoming close partners. This makes engagement, “deconfliction,” and interaction in certain areas even more important. The contacts between the intelligence chiefs indicate that the parties are serious about bringing about positive changes. We may never know what the officials talked about, but the very fact of the meeting speaks for itself. It really is impossible to underestimate its importance. Looks like there might well be a light at the end of the tunnel.